Upon completing the khatīb certificate [the one who delivers the Friday sermon] under the tutelage of Mufti Anwar Muhaimin of the Quba Institute, I have been working as a khatīb here in the Philadelphia area, servicing various academic institutions such as the University of Pennsylvania and Jefferson University. As of May 2008, I have been certified as a khatīb [the one who delivers the Friday sermon speech for congressional prayer], by Imam Anwar Muhaimin of Masjid Quba in Philadelphia. and have delivered khutbahs in the Philadelphia area. Sermons cover such topics as spirituality, ‘aqīdah, examples from the biography of the Prophet Muhammad [s] and the Qur’an, but above all, a reminder on how Muslims here in the American context can creatively respond to it, with advise to help us all conduct our lives here in congruence with what the society demands of us as well as keeping true to the transcendant values of Islam. 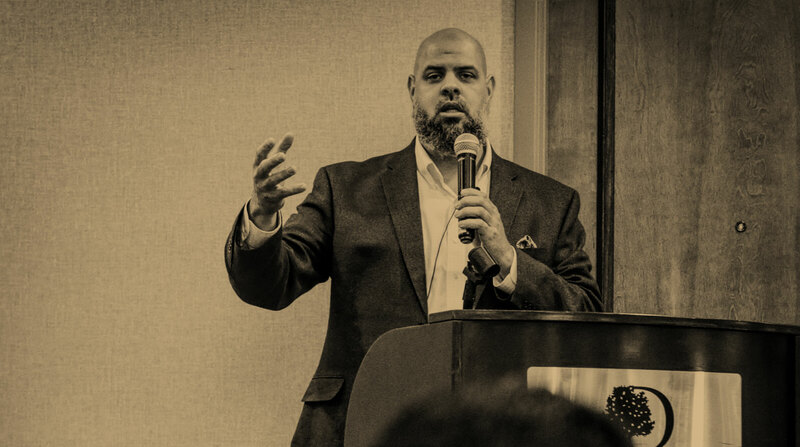 One of the goals is to help create psychological spaces for American Muslims. Trained in the Mālikī school of Muslim thought, I keep one foot in the guild of law, one on the path of spirituality. Below is a list of some of the khutbah topics with links to the notes. You can also follow them via subscribing to the podcast or the RSS feed. Notes and audio for the khutbahs are also available here. An updated copy of the khutbah and lecture schedule is here.